It has been a long time since I have read a Christian book and even longer since I have read a Christian mystery. So when I saw 12 Days at Bleakly Manor offered on NetGalley, I decided to download it. I was a bit leery on reading it because I have been burnt by Christian books in the past. I have found that some books can be a bit preachy and that is a turn-off. So I usually pass on them. Don’t get me wrong, I have found a few gems that I enjoyed but for the most part…nope. The plot of 12 Days at Bleakly Manor was very simple. Clara was to go stay at a manor over the Christmas holiday with several other guests. If she can hold out for the 12 days, she will receive a lump sum. That will be enough to bring her brother back from America. Sounds simple but it wasn’t. There were several roadblocks thrown in the way. A big one is the reappearance of Benjamin, Clara’s fiancé who had disappeared on their wedding day. What I liked about this book was the Christianity was not pushed on the reader. You were aware of it and it was mentioned a few times in the book but it didn’t overwhelm the story. It wasn’t preachy at all. Which I enjoyed. The author also did a great job with the mystery part of the book. There are two mysteries. One mystery being who stole Mademoiselle Pretents jewels. The other mystery being who was the mystery benefactor behind the invite. The author did a great job at keeping who the mystery benefactor was until the end of the story. I was pretty surprised with who it was. The mystery about the stolen jewels was also kept a secret until the end of that storyline. I was very surprised at who it ended up being. I liked Clara. She had to deal with so much over the past year. Her fiancé disappeared on her wedding day. Then, she finds out that her family’s fortune is gone and her brother has to go to America to try to get it back. She moved in with her aunt and was barely keeping things together when she got a mysterious invite. If I were invited to a strange manor with people who I don’t know from a hole in the wall, then I wouldn’t go. But the incentive, $1k pounds, was what drew Clara there. What she wasn’t counting on and what shocked her was Ben being there. I did find it odd that an unmarried woman in that era would be allowed to go unchaperoned to a house. A house where the majority of the guests are men. In my readings for that era (Victorian), that would be enough for a girl or woman to be ocasterized from the ton. So, yes I did find it very odd and going against what I know about that era. Other than that, I didn’t have any other complaints about the book. I loved that the author included what the 12 Days of Christmas included at the end of the book. Few people, myself included, know what the English do (or used to do) for the 12 days of Christmas. I found it fascinating. The end of the book was your typical HEA. There was a very sad scene where the mystery benefactor was revealed. But other than that, typical HEA. 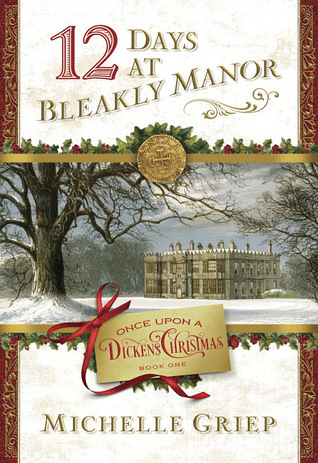 12 Days at Bleakly Manor was a great read. A mystery with Christian overtures, I got sucked into the plot. The Christian theme was not overpowering and the mystery kept you in the dark until the end of the book. I did have an issue with an unmarried woman being alone in a house with men. It did not go with the era that the book was written with. Other than that, it was a story that I enjoyed reading and I cannot wait to read the 2nd book.